Tate Liverpool's Alice in Wonderland exhibition begins today and that theme seems to fit in perfectly with some of SS12's whimsical, back to childhood themes- think Christopher Kane's flower sticker coats and Meadham Kirchhoff's sugar sweet homage to girlishness. 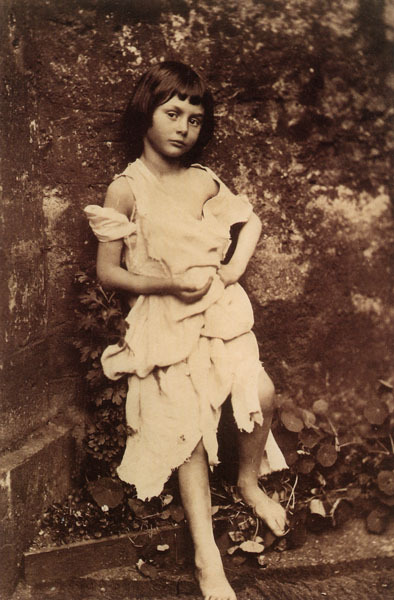 But it seems that the exhibition offers a truly in-depth look at all the aspects of Alice's Adventures which have caused so much debate for so many years- What were Carroll's true motives? How are we to read into certain elements of the plot? If we happen to be anywhere up North before 29th January then we will definitely be dropping in for a look around. If you manage to go, do let us know how it was for you. The story of the House of Fabergé is inextricably linked with the History of Europe. In 1917, Peter Carl Fabergé and his family were forced to abandon their business to flee from the Bolshevik uprising. In the ensuing events, they lost the rights to use the name upon which they had built their fortune, creating bejewelled eggs for some of the most prestgious families in Europe and Russia. However in October 2007, the House and the family were reunited once more. They are now making jewellery which heavily references the classic Fabergé with its incredible detail and use of the most intricate of techniques. Now, Mario Testino has worked alongside Carine Roitfeld, producer Camilla Johnson-Hill and Fabergé's Creative Director Katharina Flohr to create the house's first advertising campaign. Essentially, this is the tale of the most old school of brands reinventing itself for today. We might think of Fabergéas something we would see in a mueseum or a book, but maybe we should be prepared for those preconceptions to be thwarted. Their model is Bee Gee- I had to read that detail several times, I was thinking that I was about to see Maurice Gibb in an egg pendant- who apprently encompasses the Russia/ Europe relationship which Fabergé wants to enhance. If they have the Carine/ Mario power team on board, they could hardly fail, could they? The BFC showrooms have continued their world tour, which have so far seen British designers exhibiting their SS12 colllections in Paris, LA and New York, in Hong Kong this week. They received a warm welcome from the Chinese fashion industry with Angelica Cheung, Editor of Vogue China, hosting a tea for them. Lane Crawford, one of Hong Kong's biggest department stores, also put on an in-store event followed by a big party in Victoria Harbour. All this seems proof that everywhere in the world right now, there is a buzz about British desingers and the BFC is doing a very good job of capitalising on that. Louise Gray told Vogue "It was great - I got some brilliant new stockists over there"- job done. 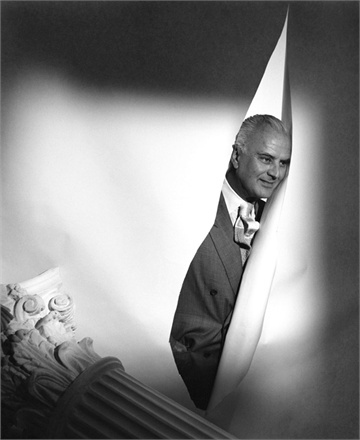 We're feeling an all-new Manolo moment coming on, so the news that Blahnik is to receive the first ever lifetime achievement award at the 25th Footwear News Achievement Awards makes perfect sense. When he won Designer of the Year in the same ceremony in 1992, he said '“I do what I do and that’s it. It’s nice I make people happy. If I only do that in my life, it’s great, even if it is only a stupid pair of pumps.” Excellent news then, that Manolo will be recognised for his success in maintaining that exact aim- we take our Mary Janes off to you, Mr Blahnik! Never ones to pass up the opportunity to devour anything Chanel related, we are very excited about Karl Lagerfeld's forthcoming book which pays tribute to the Chanel tweed jacket. Carine Roitfeld has styled some of the world's best known women in the piece to celebrate the timeless quality which Coco captured back in 1926 (when her first tweed jacket was produced). 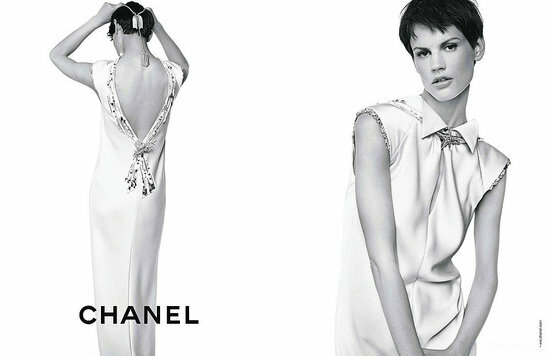 Lagerfeld commented that "Transformation is the secret of survival, but never change. "; a cryptic, seemingly nonsensical utterance which actually seems to make perfect sense when applied to this little bit of fashion history. After leaving British Vogue this Summer, it was unclear what exactly Robin Derrick's next move could be. Well, it seems that Glenda Bailey, Editor of US Harper's Bazaar has enlisted him to help revive the title she has edited for the past ten years. We're all aware that the publishing industry is a tough place to be right now and it seems that Harper's is at the coal face, having seen 4.1% decrease in the number of ad pages being bought over the past year. So it makes perfect sense that Derrick be drafted in from a title which is doing pretty well at defying the decline. Just as we've got through the SS12 shows, we are reminded once again of the Resort collections as the campaigns are revealed. I completely loved Vuitton's Resort collection (which was done in collaboration with Sofia Coppola) but I do find the campaign a bit disappointing. Although it's NICE it could have been AMAZING given the strong Gatsby/ thirties pyjama influences of the collection. The confusion over what a Resort collection actually is shows too. At Chanel and Prada, the models look like they're off to a Christmas party, while at Gucci and Vuitton it's High Summer, confused much?! In general, these images don't feel quite as exciting as those we see for the main collections, but that's just the spoilt fashion brat in me speaking- we can't have it all, can we?